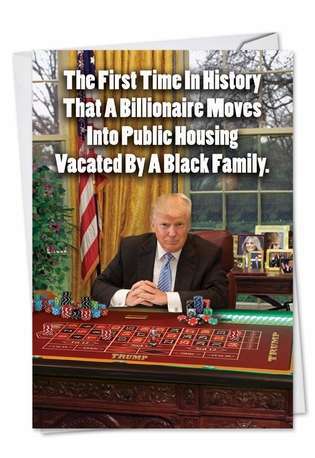 Cover Reads: The First Time In History That A Billionaire Moves Into Public Housing Vacated By A Black Family. 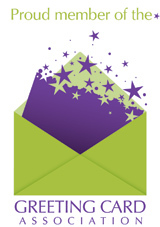 Inside Reads: Happy Birthday ... Drinks Are On The House! 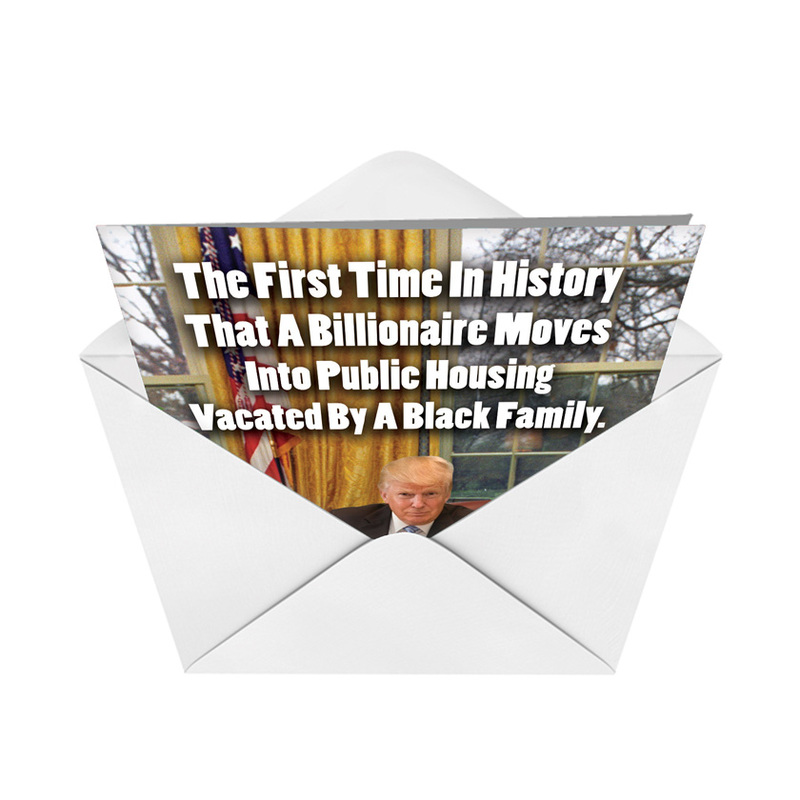 Political irony doesn't get any more remarkable than the idea of a white billionaire moving into public housing that has been vacated by an African-American family. 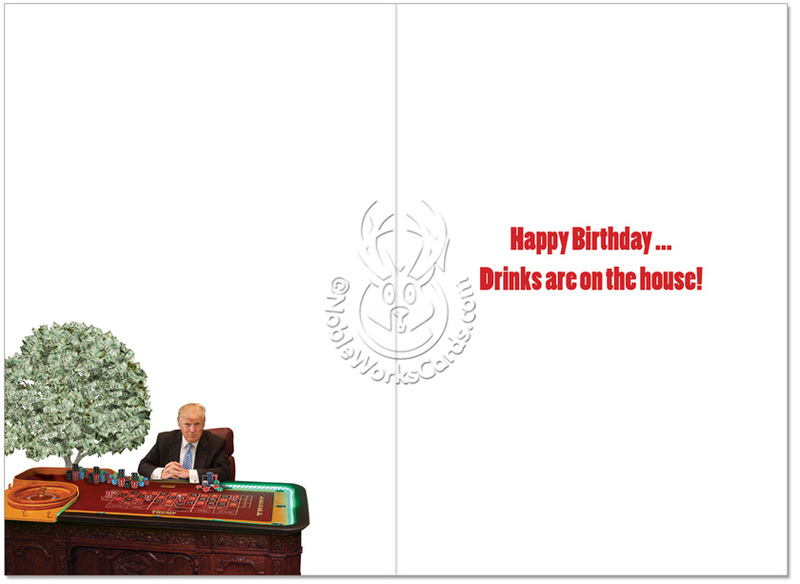 That's the crux of the humor in the First Time In History Birthday Joke Paper Card available at NobleWorks Cards to comment on the transition from Barack Obama to Donald Trump in the White House. The house may be white, and its current occupant's hair may be on the orange side, but the humor contained in many NobleWorks Cards is blue, and certainly both irreverent and hilarious. These "yugely" funny political greeting cards are made with partially recycled paper and are available at reduced rates when you buy in bulk, so 10 cards will cost a lot less per card than a single greeting card. 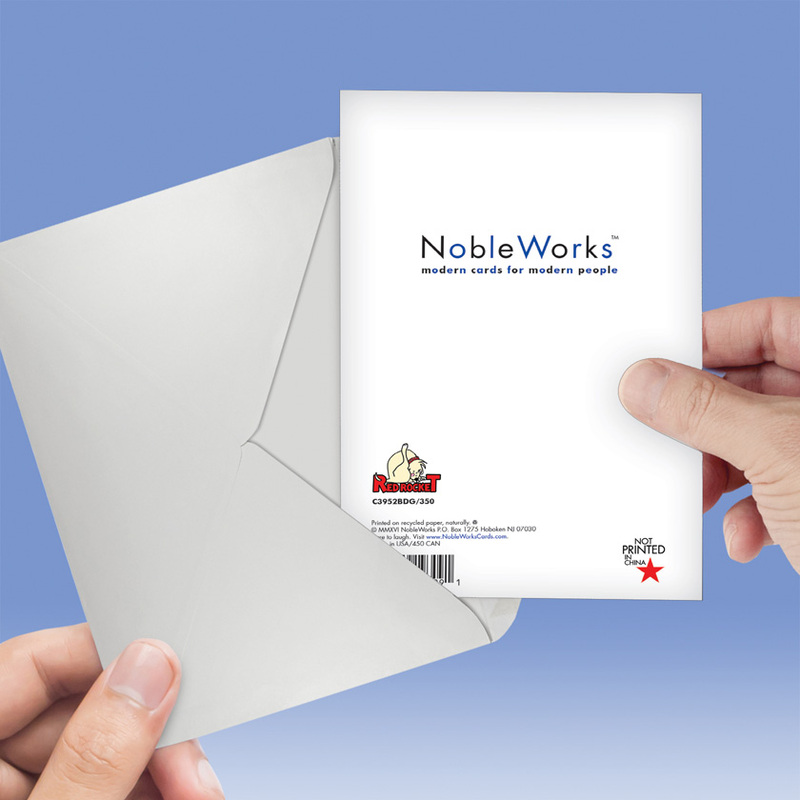 And shipping from NobleWorks Cards is a lot faster than confirmation of some Presidential cabinet appointments. My friend is a big trump freak. I just had to get this card for him. It's funny. ConsA little out of focus. But ok.
Couldn't be any more clever! This is my second or third time to buy this card, because the friends who received it laughed their heads off. Got a big laugh, great card ! So funny and so true!! !